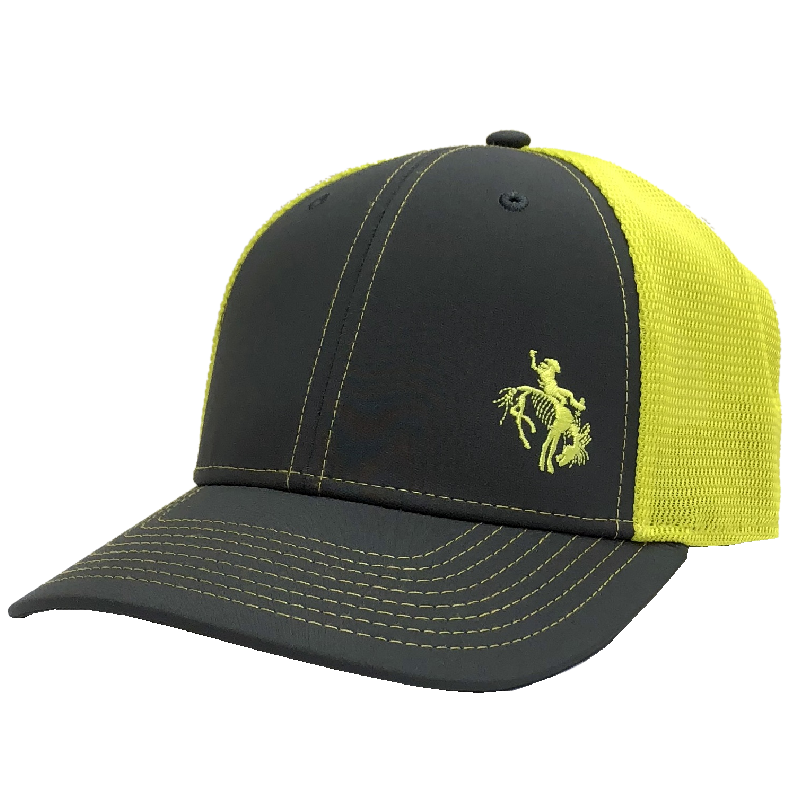 Gary Allan low profile, constructed charcoal ballcap with neon yellow mesh backing. Adjustable plastic backstrap. 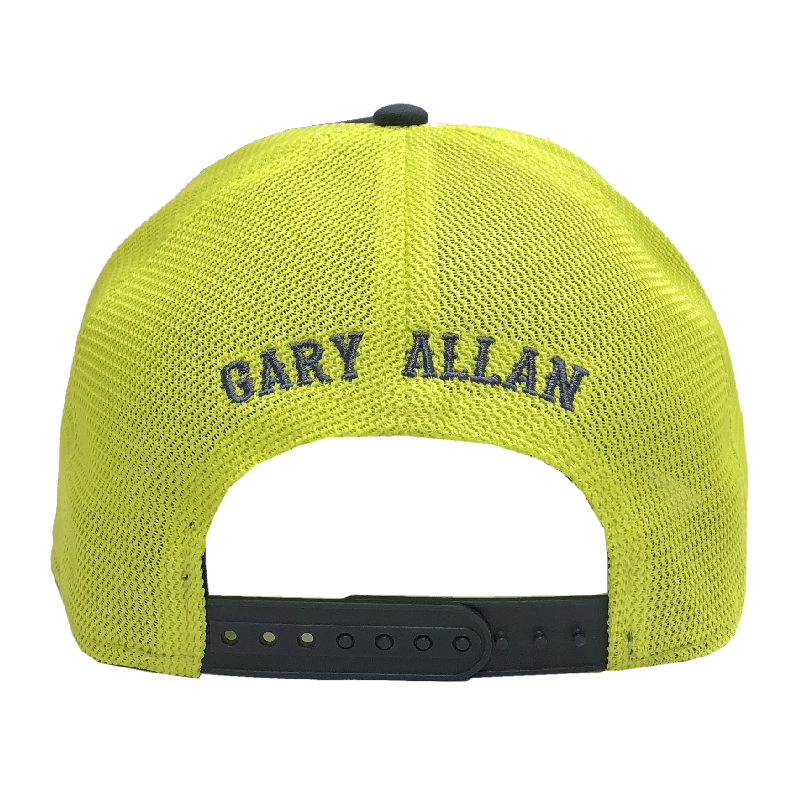 Bucking Bronc logo on the front left side and Gary Allan logo on the back in charcoal.